The Countryside In A Day! Join us in 2019 for an exciting and action packed day of all that's best in British farming and the countryside. You can take a look at hundreds of beautiful farm animals and watch some of the best horses and riders in competition. Moreton Show has lots of family fun from terrier racing and stunt motorbikes to Tractor Ted and circus skills. We have scores of trade stands selling fantastic country clothing and fabulous gifts. At Moreton we also celebrate farm to fork with delicious British food. Come and join us to experience the countryside in a day. See you there! The beautiful weather of last summer is reflected in the Annual Report produced by the Moreton-in-Marsh and District Agricultural and Horse Show Society. The society which organises Moreton Show saw the highest recorded gate receipts, membership at all-time high and a trading profit for the year ending October 31 of £17,235. A rush of interest ahead of the show meant that organisers had to temporarily stop selling membership packages because they had become so popular. 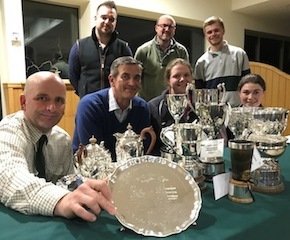 For this year, the prestigious Members’ Marquee will be bigger to accommodate the rising interest in wha..
Moreton Show has been included among some of the top events in the country to host the prestigious Walkers Shortbread Aberdeen-Angus Show Herd of the Year Competition. 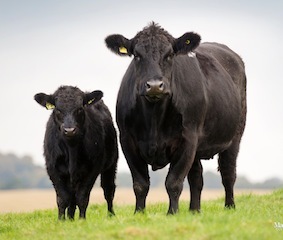 The contest, which carries a handsome trophy and prize money of £500, involves exhibitor bred cattle accumulating points for placing first, second or third at ten shows around the country. Moreton Show, on Saturday, September 7, has been named as one of the nominated shows for the second time in four years. The others are the Royal Cornwall (June 6-8), Royal Highland Show (June 20-23), Great Yorkshire Show (July 9-11),.. 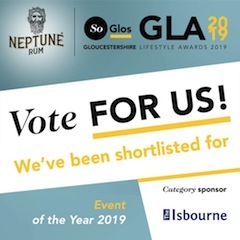 Fantastic news for Moreton Show today - we've been shortlisted as Event of the Year in the SoGlos Awards!! If you can, please vote for us by clicking the link below. Thank you. Thanks to our hard-working Moreton Show team, exhibitors and competitors. And a big thank-you to all our visitors. See you on Saturday, September 7th. Moreton Show - The Countryside In A Day - farming, food & family fun! https://www.soglos.com/awards/vote..
Simon Randall CBE, the President of the Moreton-in-Marsh and District Agricultural and Horse Show Society, said farming will thrive when Britain leaves the European Union at the end of this month. Speaking at the annual Moreton Show Farms and Crops prize presentation evening, sponsored by Knight Frank at the Fosseway Garden Centre, he praised the ‘variety, quality and prowess of our Cotswold farming’, adding: ‘It will not only survive but thrive after March 29, despite predictions to the contrary.’ Randall, a solicitor who lives in Blockley, has been a supporter of Moreton Show..